Free parking directly behind the restaurant. 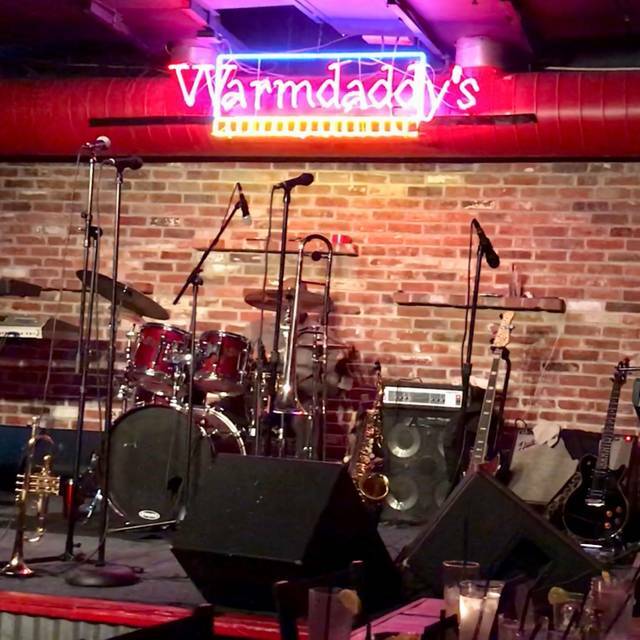 Warmdaddy's creates a place to enjoy down-home culture and the music of legendary blues, R+B and soul artists such as Lil Ed, Kindred, Carol Riddick, Jeff Bradshaw, The Blue Method, The Amazing Grace Little,The Urban Geurilla Orchestra and many more!! Our 100 seat dining room sits in full view of the 18' X 18' mainstage where living legends and rising stars jam nightly. Join us for any of our electrifying weekend shows! 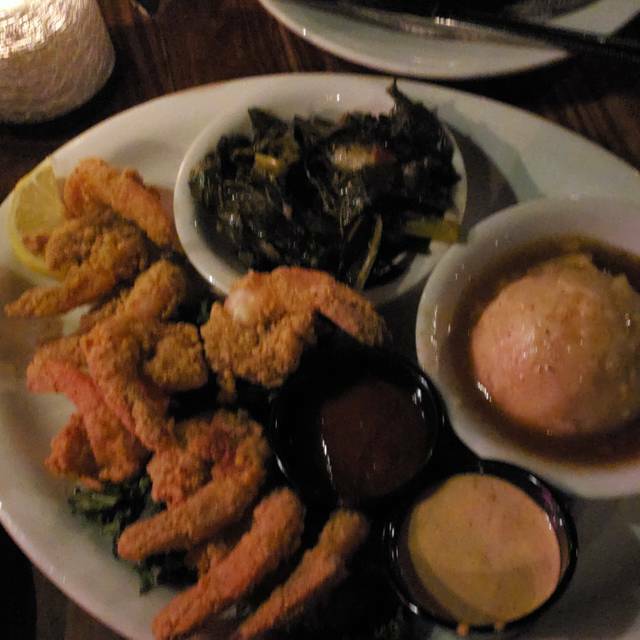 Warmdaddy"s celebrates the FOOD, CULTURE, and MUSIC that encompass the REAL SOUTHERN RHYTHM + BLUES EXPERIENCE. Please refer to our website for our full catering menus. 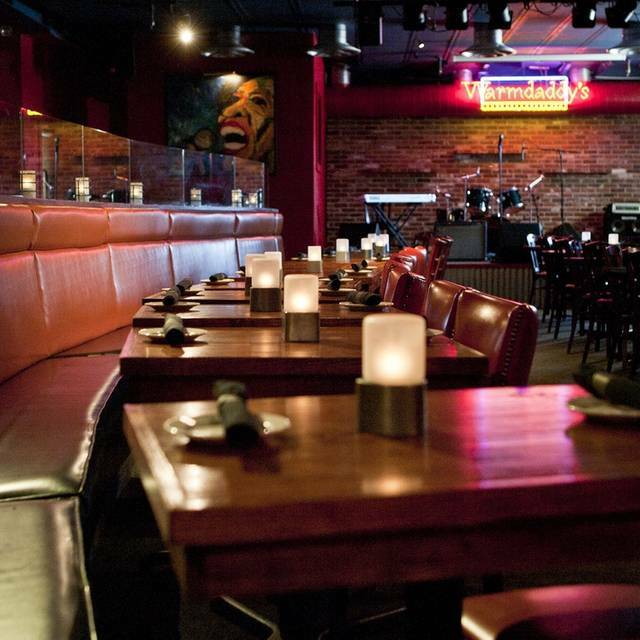 Warmdaddy's celebrates the FOOD, CULTURE, and MUSIC that encompass the REAL SOUTHERN RHYTHM + BLUES EXPERIENCE. Located along the Delaware River on Christopher Columbus Blvd., Warmdaddy's has become one of Philadelphia's premier dining + nightlife landmarks. Experience the SPIRIT of TRUE SOUTHERN HOSPITALITY in a warm + relaxed ATMOSPHERE that speaks through CONTEMPORARY SOUTHERN DECOR. We invite you to come down and grab a seat in our spacious dining room or pull up to the bar for one of our mason jar specials. catfish fingers, jerk chicken spring rolls, hot wings and chicken tenders with sauces for dipping. great for sharing! Navan Vanilla Liquer with Jose Cuervo and fresh lime juice so smooth, and so sweet! Dessert for your martini glass rich Godiva chocolate with 99 Bananas and a touch of Bailey's Irish Cream, Life has never been so sweet! Celebrate your Mother while enjoying the hit soul sounds of Rheel Menn! Happy Father's Day! Live Performances! Drink and Food Specials! What better way to celebrate? 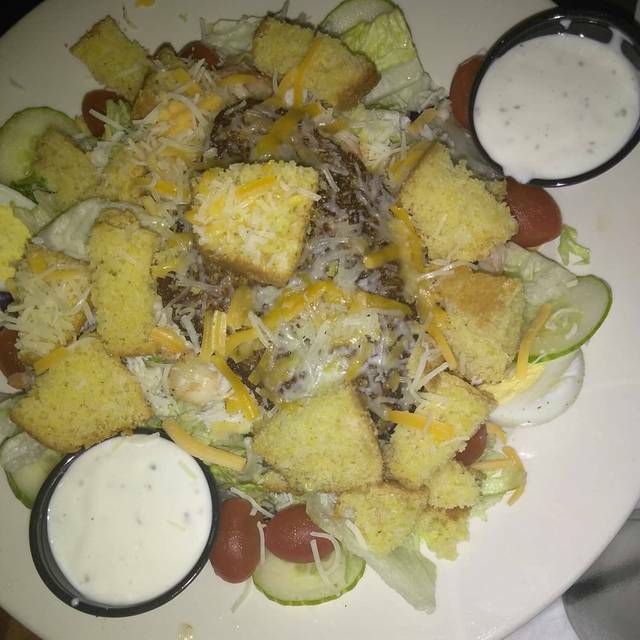 First time visiting restaurant, overall I was very impressed. 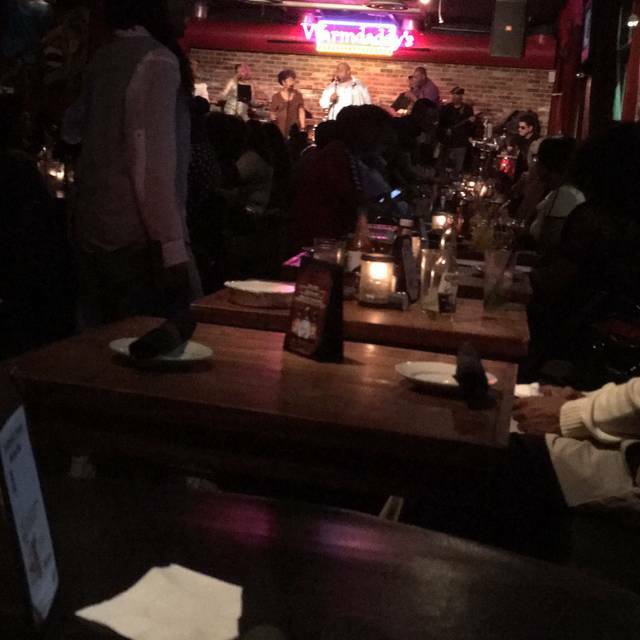 Dining at Warmdaddy’s was a wonderful, joyful experience! I was visiting Philadelphia from Chicago with my 16-year-old son and we met some friends for a festive meal. The music was phenomenal, the food amazing and the service was nothing short of outstanding!! 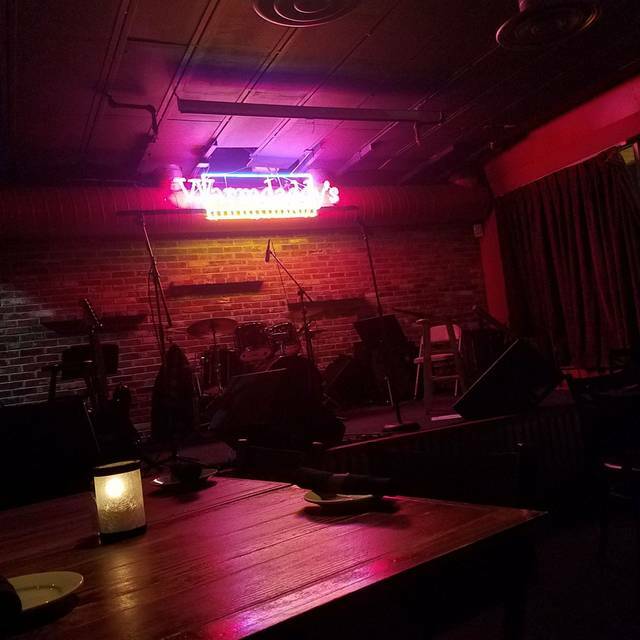 I left Philly back in 1995, just when Warmdaddy’s opened for the first time so I was so excited to return after nearly 25 years. This is a place you definitely must go to and experience for yourself!! I took my mother here along with having 9 other family members with us. First off, when I tell you everyone In here was amazing they were amazing. More people showed up to the event than expected and they were so accommodating to our needs. Our waiter was absolutely wonderful. I cannot wait to come back. This was my first time at this establishment and i am beyond amazed at how amazing the food was. I tried several different items and loved every single item. The corn bread was sooo mouth watering. The Salmon was to die for. Everything was great. I can not wait to go back one day soon. The music was amazing also. d a great vibe! Food was astounding especially the cornbread and crab mac n cheese. It was our 1 year wedding anniversary and it was wonderful! Next time we have to come later for the band!! I was in town to celebrate my birthday. The service was great. The young lady who served us was patience and kind. I don't know how to spell her name. I really enjoyed the band. I plan to visit the next time I am in Philadelphia. Music was roo loud but still enjoyable. Food came out to fast. Hardly had time to finish appetizers but overall very enjoyable. The sound system used to reverberate painfully. It seems like it has been improved, which we really appreciate. Warmdaddys was a great experience for my friends and I. The food was great. We were able to get seated early and the service was great. Great service, atmosphere and food, we'll be returning. We ordered these appetizers - shrimp and grits, macaroni and cheese, corn bread and the sampler, all were delicious. The entrees ordered the chicken and jambalaya with sides of sweet potatoes and collard greens, all delicious. The atmosphere was perfect for a date or an intimate gathering. 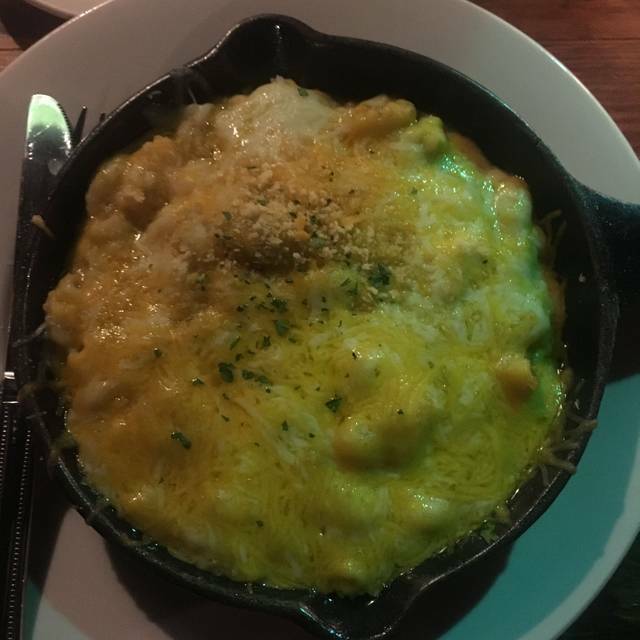 The shrimp and macaroni & cheese are amazing! The only thing I didn't like was my chicken, which was a little dry. But other than that, I had a great time for my birthday. Warmdaddys was the best. The food was excellent and the service superior!! 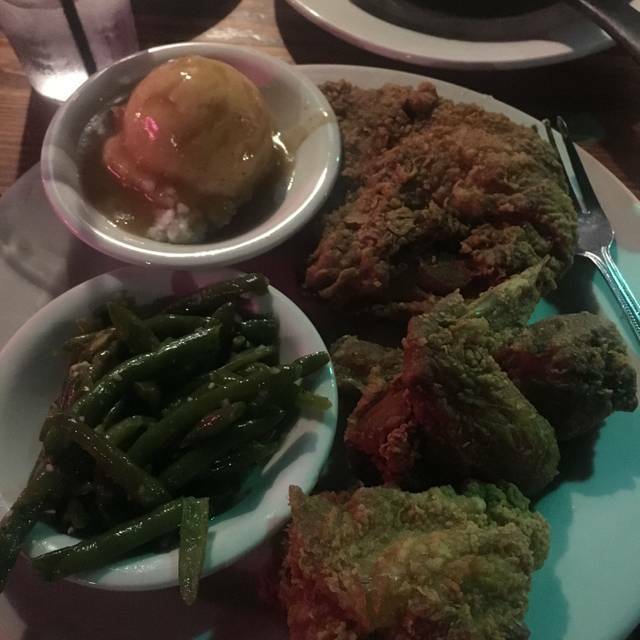 This was our second visit to Warm Daddy’s. We will definitely be returning. This visit we took my sister in law she enjoyed herself. 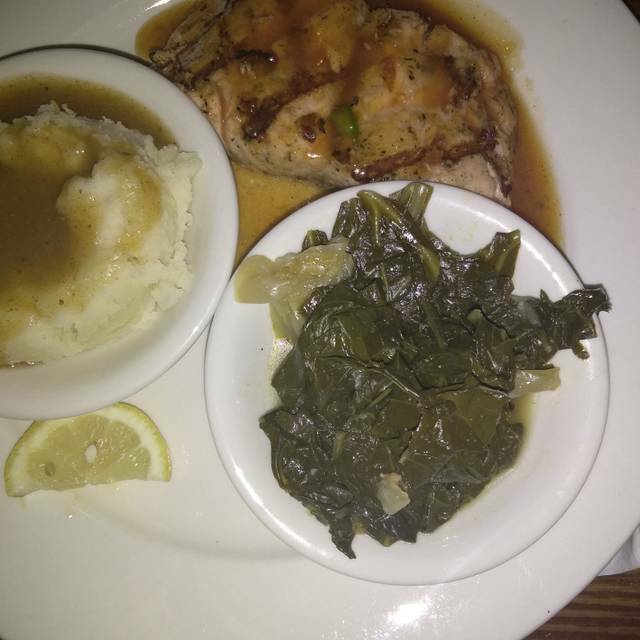 The food was on point, our server was very attentive and the cost was very reasonable. I think our server was Isiah he was exceptional on menu choices and everything he suggested/recommended was on point. Me and my sister in law had fried chicken dinner, my husband had salmon. Appetizer seafood Mac and cheese and the honey cornbread. DELICIOUS everything we rolled out of there stuffed. I had a reservation we walked right in and sat down it was amazing and the food was Amazing my friends loved everything and can’t stop saying good things about Warmdaddys❤️ We will be back!!! Although it was a chilly rainy night outside Warm daddy's offered a bright warm welcome from the Elements. Our host and our server were both exceptional and easily accommodated our request to be placed closer to the stage. Our order was taken immediately, “All you can eat crab legs” is always the Tuesday night delight, and my dearest & oldest girlfriend and I would be there very week, if we could afford it! The Crabs were exceptional, as usual, seasoned to perfection, and the Soulfood sides always a treat! To top the evening off, a last minute email from Warm Daddy’s you offered a free dessert to those ordering crabs! I had Upside down pineapple bread pudding and it was absolutely amazing! Entertainment was exceptional as well, the overall experience, divine! Outstanding food! Loved eating at a local venue as a visiting tourist! Always enjoy the food and music. Can't go wrong! The lady that sang Rock Steady, almost had me on my feet! Next trip to Philadelphia please consider Warmdaddy's. Food is excellent. Live band is loud but good. We were there to celebrate my husband's birthday! We had a Great Time. Will visit next time I visit Philly!!!! I came to celebrate my boyfriends birthday all the way from Maryland and this was one visit neither regret. We had such an amazing time with Amazing Grace. She was full of energy and walked the room singing and engaging the audience. Although disappointed she didn't serenade him with her beautiful voice as she did some of the other bday celebrations lol...we were still happy. The food and drinks were on point and plentiful that we had to take most back to our room, where we enjoyed the leftovers the day after. Overall I would recommend Warmdaddys and will be back soon. I'm a frequent visitor. I must admit today wasn't my best visit. The quality of food was not the usual. My waiter's service was mediocre which was a shame as I consistently promote Warmdaddy's and brought friends who were visiting for the first time. The ban sounded wonderful. However, it was extremely loud. I could not hear my date or the waiter. Also It was very cluttered. The person next to me purse was in my lap, and the person on the other side of me her coat was on my other lap. It was an extremely tight spot. I had no room to move. I ordered the catfish, I felt like it was not fresh. It tasted frozen. My experience was not what I expected. It was a very nice place to be. The food was delicious. Only complaint is that waiter didn't come back to table often enough. We enjoyed ourselves. I don't think it's right, when u spending money on drinks that u our ask to move because u need the table. You need a better system. I don't like this about Warmdaddys. My table spent alot of money that night. For the price...I guess the crab leg size was ok. I thought they were to small in size. Would not do again but would to other items and come back for the entertainment.